LG Electronics 4K Ultra HD TV Lineup (2018-2019) This page contains a roundup of LG’s 4K Ultra HD TVs (LED and OLED), presented here for a comparison of price, features, and reviews. 4K Ultra HD TVs have 4 times the resolution of the best 1080p Full HD TVs. 4K TVs give you a resolution of 3840 × 2160 or over 8 megapixels verus only 2 megapixels for Full HD TVs. 4K content is now appearing at Netflix, Amazon Prime Video, Youtube, and more. LG’s Smart Share is installed on all LG 4K TVs to share content from your smart devices. LG’s best LED TV line has ColorPrime with Quantum Dots for best picture. LG’s newest TVs have HDR with Dolby Vision for better Dynamic Range, more vivid colors, and better, deeper blacks. 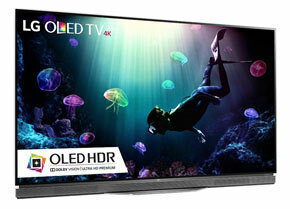 LG’s OLED TV lineup is all 4K resolution which gives the best picture of any screen technology. These LG 4K Televisions all come with quad core processors, which can also upconvert Full HD content to 4K giving you a better picture for current programs available. The best way to view a 4K TV is closeup as the pixels are much smaller than normal HD sets. 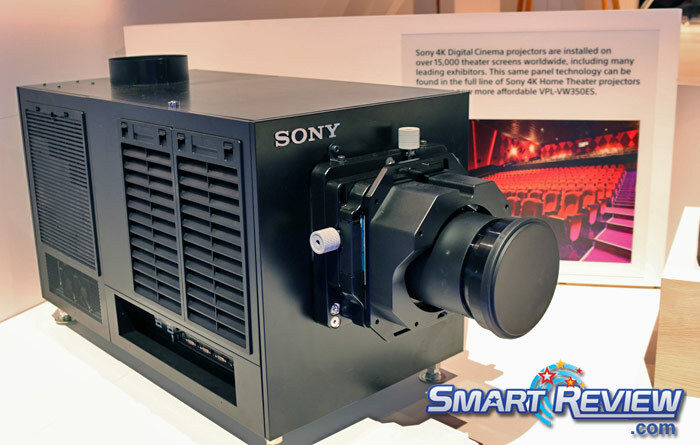 Movie theaters now have Sony 4K Projectors installed, so you will be seeing about the same resolution as movie theaters in your home. These TVs are ideal for home theaters. Below is a comparison of the current LG Electronics 4K TV lineup, with major features, and reviews for models in each series. HDR & Dolby Vision = LG’s OLED TVs for 2017-2018 will have High Dynamic Range (HDR) technology and Dolby Vision. These technologies allow a picture with a much wider range from bright to dark, more vivid colors and shadow details. This is a major upgrade in picture quality aside from resolution. The new 4k Bluray discs and future streaming and cable content will be tailored for HDR to take advantage of this technology. What native 4K Content is Available Today? = Currently, Youtube, Amazon and Netflix are streaming 4K content to consumers. ESPN, Comcast Xfinity, and others have announced that they too will have 4K content in 2016. Samsung has introduced the first 4K Bluray player in 2016. HDMI® 2.0 Support = HDMI 2.0 is the next generation of HDMI which will provide higher framerates for 4K Ultra HD content, more audio channels, and Full 4K 3D. Most of the 2014-2015 models come standard with HDMI 2.0 installed. LG’s entire 4K TV lineup comes standard with HDMI 2.0 support. ColorPrime(Quantum Dots) = New for 2015, LG’s UH8500, UH9500, and UF9500 series has ColorPrime technology with quantum dots which will give a brighter picture with a much wider range of colors. WebOS 3.5 = This is LG’s latest Smart TV interface for 2017. Easier to use with the new Smart Magic Remote. WebO 2.0 was 2015’s Smart TV interface, and WebOS 3.0 was on 2016 LG TVs. LED PLUS Dimming = All of LG’s LED 4K TV lineup has Edge Lit LED PLUS which adds local dimming for deeper blacks and better contrast. Mastered in 4K Blu-ray Discs = To accomodate the new 4K TVs, new blu-ray discs have been introduced that were mastered in 4K to give you the best picture on your 4K TV from a blu-ray disc. They are recorded with higher bit rates for better picture quality. These discs can be played by blu-ray players and Playstation 3 and 4 players onto your 4K Television. Genuine native 4K Blu-ray players are coming in 2015. LED TV = Instead of a conventional fluorescent backlight, these 4K HDTVs use LED lights for backlighting. 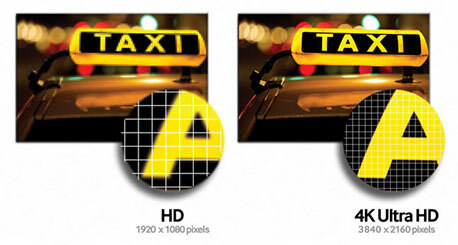 This dramatically improves picture contrast, colors, and overall picture. LED TVs also use about 40% less electricity. Cinema 3D = The UH8500 UF8500, UF9500, and certain OLED 4K models are 3D Ready and come with passive 3D Glasses. The clarity of watching 3D on a 4K TV is a real treat. The provided 3D glasses are the same type that you get at the movie theater. Lightweight with no batteries needed.